Does anyone else remember that Premium Saltines commercial where a sleeve of the crackers is tossed into the ocean to demonstrate how watertight it is? I always thought that was a pretty neat commercial, especially when you consider how the crackers are so desiccating that your tongue goes Gobi the instant a crumb enters your mouth. 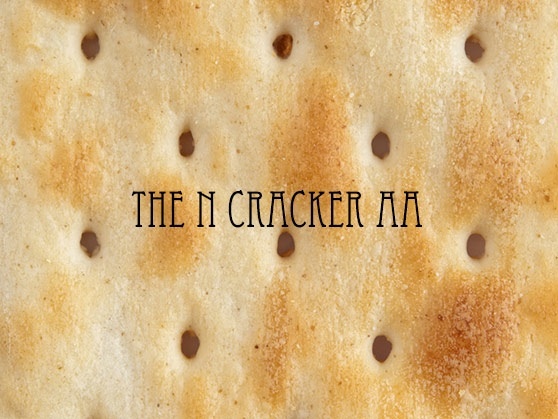 That said, saltines have a certain something that other crackers don't. Is it their ubiquity at a stomach flu victim's bedside? Is it how after eating just four squares you have to stop and clean out the area between your cheek and lower gum line like you're dragging the river for a body? I don't know. Saltines aren't gussied up with herbs, oils, or various cheeses, so they aren't likely to progress far. Still. They're humble. They're comforting. And even though I haven't eaten one in decades (Carr's Water crackers fended off my pregnancy nausea), I find myself feeling oddly protective of them and not a little choked up at the idea of them being voted out. Moving on, I have no idea what they are, but Toast Chee sounds like something drunk, cockney chimney sweeps do at the local pub after almost breaking their necks on the rooftops of the gentry. This of course means I have to vote for it here and eat it later. Remember how I said that the randomizer threw us a couple of curveballs? Exhibit A. All the saltines? Really? Plus a bunch of obscure Cheez-Its that all sound delicious and all sound made-up. I can vouch for the existence of all these Carr's lovelies, though, and while I don't expect either of them to advance, Rosemary and the wheat biscuits have my vote -- Rosemary on sheer flavor, and wheat because 1) they can go sweet or savory, cookie or cracker, and pair well with any cheese or fruit and 2) I had a ritual in my school days, a superstitious collection of sensations I "needed" to study for final exams. A great-composers cassette on the boom box; a particular corner of my room I seldom sat in the rest of the year; and a full sleeve of Carr's in the red box. What's my third? The wholly artificial, cancerously orange Toast Chee. Love those things!